The Dragonfly Bandana Cowl is a scarf worn like a bandana on the front. It is a perfect accessory to compliment your outfit. You can wear it with a white shirt and jeans for a casual look or wear it under your jacket to fill in your neckline. 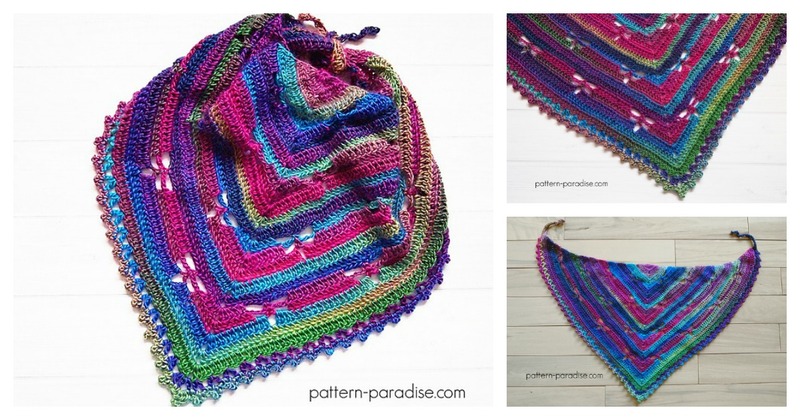 The Dragonfly Bandana Cowl Free Crochet Pattern has triangular shape, brilliant stripes, and dragonfly-shaped spaces. It seems too intricate to be easy. But it actually is an easy pattern. You can create this masterpiece for your own with three special stitches—the picot, split, and V-stitch. Have fun.